Introducing… Booklish! A new, biweekly feature showcasing culinary creations (with accompanying recipes) inspired by books or fictional characters. Read more about this feature here. This inaugural installment is devoted to L. Frank Baum’s 1900 classic, The Wonderful Wizard of Oz. 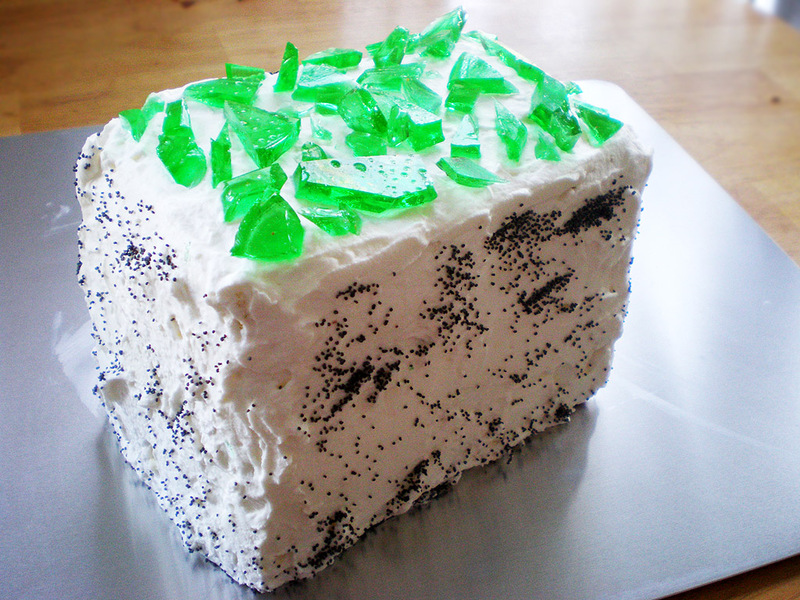 Today, we have brick-layered lemon yellow cake with lemon frosting “mortar”, an outside layer of whipped lime icing, sprinkled poppy seeds along the sides, and shards of lime emerald hard candy pieces scattered on top. When we began considering The Wonderful Wizard of Oz, the most obvious impressions that came to mind were Emerald City, the yellow brick road, and themes of childhood adventure and magic. A fluffy, fruity cake seemed most appropriate for representing the glorious imagination of childhood, so we went with lemon and lime flavors. Color is a prominent motif in the book, and plays a strong role in the colors of this cake. 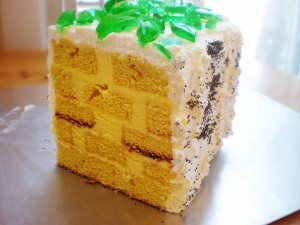 The brick layering and candy shards are obviously inspired by the yellow brick road and Emerald City, and of course there are poppy seeds for the Deadly Poppy Field. 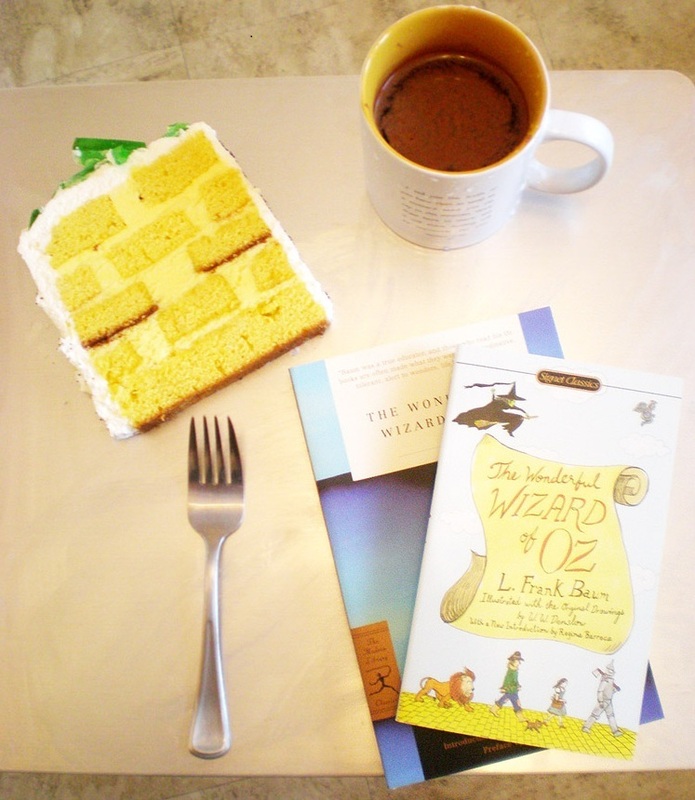 Try making this yourself and sitting down with a copy of The Wonderful Wizard of Oz! Wah, you’re so right. :D Nomnomnom. I want to do it, too! I would to add a disclaimer – Kakaner is the baking (and everything culinary) genius; I contributed absolutely nothing to the actual process except random flavor suggestions! Emera– =P Hay. The flavors are the hard part. I wish I had an oven to back this delight in. That is a thing of beauty. Cake! And books! And bookish cake! What more could anyone want out of life? Andygrrrl– THAnk you. I entirely share your sentiment =D Just wait till next week’s! http://www.ehow.com/how_4933567_microwave-cupcakes.html <– This was on e-how, & I’ve never actually tried it, but it uses cake mix. Shen– wait you DID make it??? Gah, that cake-in-a-cup is so cute! I’ve never heard of that before (obviously), but it appeals to my… uh. love of small things in containers. kakaner- LIES. There are! I just googles it. Problem is that bakeing supplies require a mile walk to Kroger, and I don’t have a mixer. I used to bake a lot when I was younger, and I’ve never used a mixer before, so I can vouch that while whipped icing definitely takes some elbow grease if you’re doing it by hand, it’s rather therapeutic, too. Work out your aggression etc. And of course, with your campus, getting baking supplies would take forever. :P That’s a bummer – maybe plan it out for when you have extra time to treat yourself? Also, I entirely agree with Emera. I didn’t have a mixer until a year ago and I was baking everything you could think of without one. In fact, I used chopsticks in lieu of a wooden spoon or whisk. I must put forth an argument for chopsticks as the ultimate tool for both cooking and stuffing one’s face. I can’t think of a single food that you couldn’t eat using them, and you can substitute them for pretty much any other utensil when cooking. Homemade icing has been on my to-do list for a while! 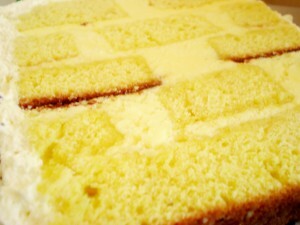 I’ve got a 4-day week-end now, so…a cake may be baked yet!